I'll stand by my decision to start her. 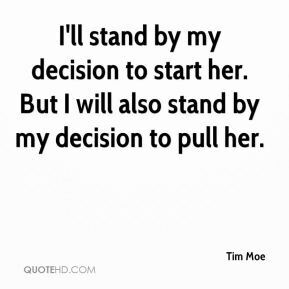 But I will also stand by my decision to pull her. 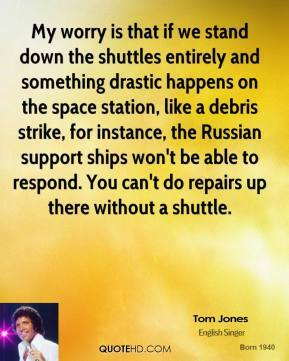 My worry is that if we stand down the shuttles entirely and something drastic happens on the space station, like a debris strike, for instance, the Russian support ships won't be able to respond. You can't do repairs up there without a shuttle. My philosophy is, if you do a simple, livable design, it will stand out. 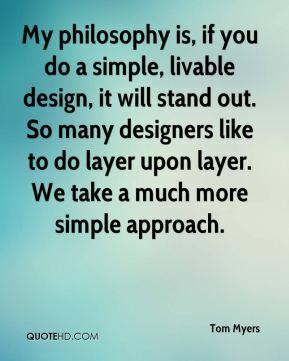 So many designers like to do layer upon layer. We take a much more simple approach. 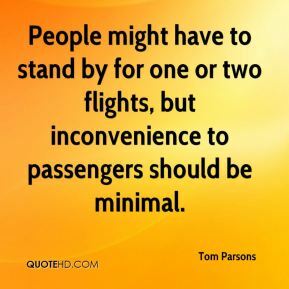 People might have to stand by for one or two flights, but inconvenience to passengers should be minimal. 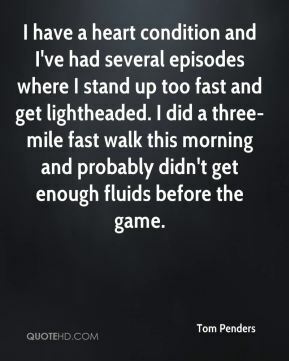 I have a heart condition and I've had several episodes where I stand up too fast and get lightheaded. I did a three-mile fast walk this morning and probably didn't get enough fluids before the game. 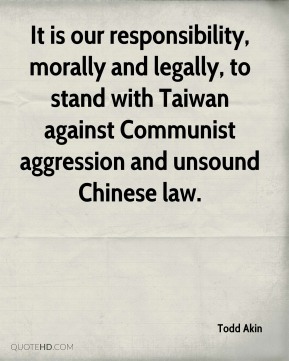 It is our responsibility, morally and legally, to stand with Taiwan against Communist aggression and unsound Chinese law. 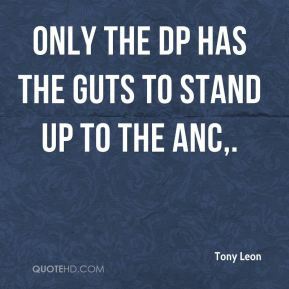 Only the DP has the guts to stand up to the ANC. I was going to radio school. 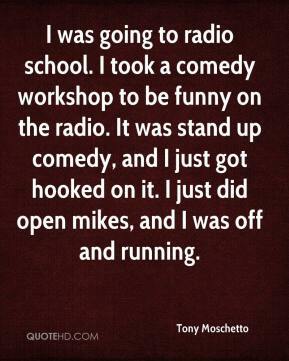 I took a comedy workshop to be funny on the radio. It was stand up comedy, and I just got hooked on it. I just did open mikes, and I was off and running. 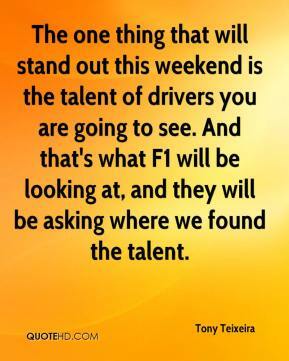 The one thing that will stand out this weekend is the talent of drivers you are going to see. And that's what F1 will be looking at, and they will be asking where we found the talent. 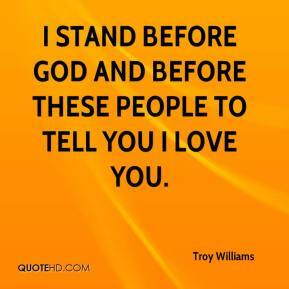 I stand before God and before these people to tell you I love you. 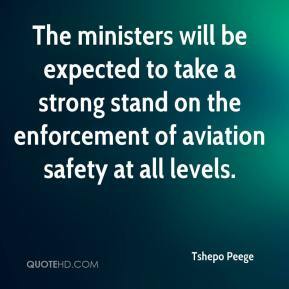 The ministers will be expected to take a strong stand on the enforcement of aviation safety at all levels. 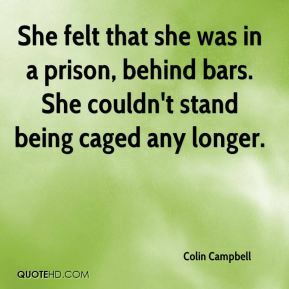 She felt that she was in a prison, behind bars. She couldn't stand being caged any longer. I don't expect or want the architects to come up with something that's just a stand-alone icon of sorts. 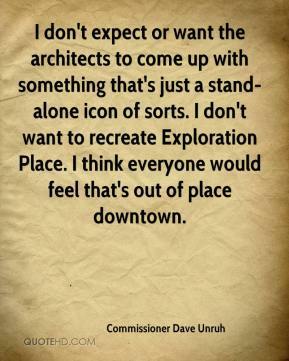 I don't want to recreate Exploration Place. I think everyone would feel that's out of place downtown. Cats didn't stand a chance. [Cats] hate water. 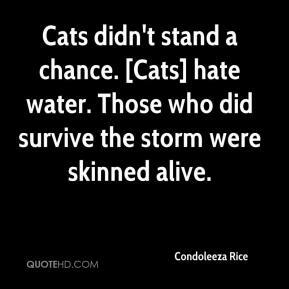 Those who did survive the storm were skinned alive. [The zoo offers the tactile experience of sliding a bow across the strings of a fiddle, plucking a stand-up bass, pounding a drum, strumming a guitar or blowing into a trumpet.] I think of it as a mini museum, ... We have some basic knowledge of all the instruments. 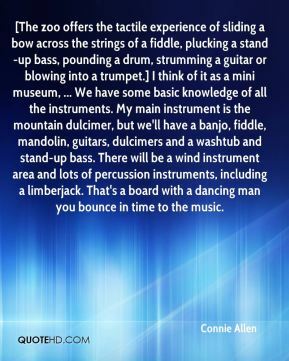 My main instrument is the mountain dulcimer, but we'll have a banjo, fiddle, mandolin, guitars, dulcimers and a washtub and stand-up bass. There will be a wind instrument area and lots of percussion instruments, including a limberjack. That's a board with a dancing man you bounce in time to the music. I think a lot of young kids at school are very conscious of trying to keep credibility in case they kind of stand out in a crowd and get bullied by trying to stay cool and stuff. And my whole thing, all the way through school, was I was just a goof... I didn't care.